A new project funded under the FP7 European Commission framework is getting citizens involved in testing new tools for reducing energy consumption during peak loads, in the hope that its pilot program will set the new state of the art for protecting locations with fragile electricity supplies. The Provence-Alpes-Côte d’Azur region in France is perhaps best known for its vineyards, lavender groves and sparkling coastal cities like Nice. But it is also one of France’s most fragile regions for electricity supply. Particularly in winter, when electrical heating sees electricity use rise, the locals experience frequent supervised blackouts, as the local energy provider, EDF, tries to counter the most critical peak loads. 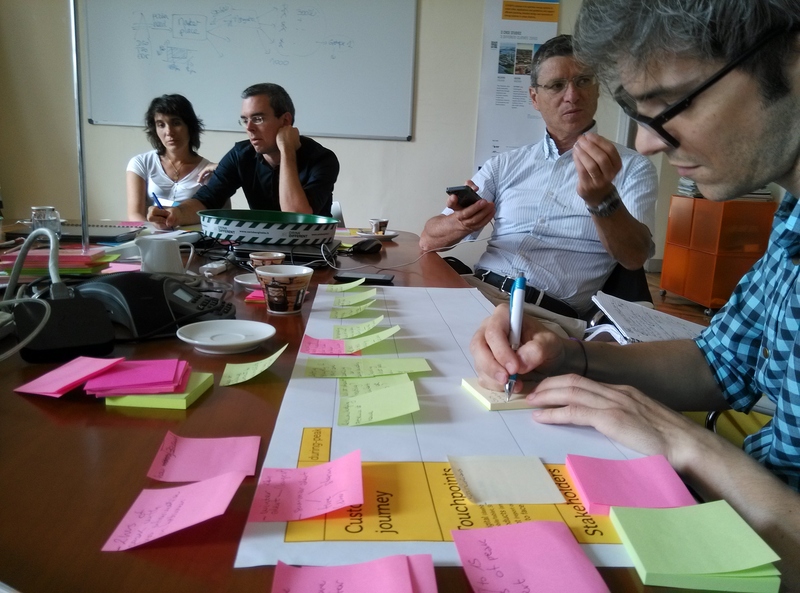 That is why Nice Côte d’Azur has been selected as a pilot city for the CITYOPT project, an initiative that is aiming to create new methods and tools to deal with energy consumption, and to involve local citizens in designing and testing them. A glimpse of the Provence-Alpes-Côte d’Azur region in France (picture “Vue Generale” courtesy of A. Issock). CITYOPT has been funded by the European Commission under its FP7 program, which aims to support European research across a wide range of focus areas. 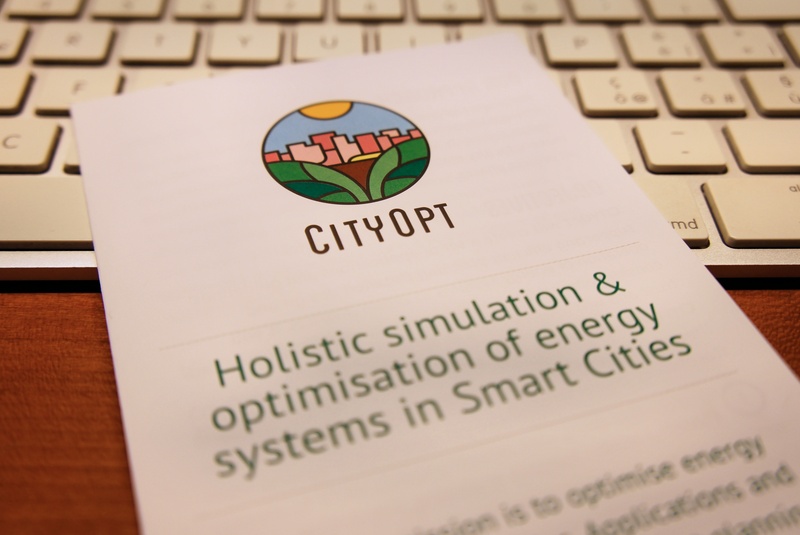 The CITYOPT project is exploring smart cities, and aims to optimise energy use in delicate urban environments. 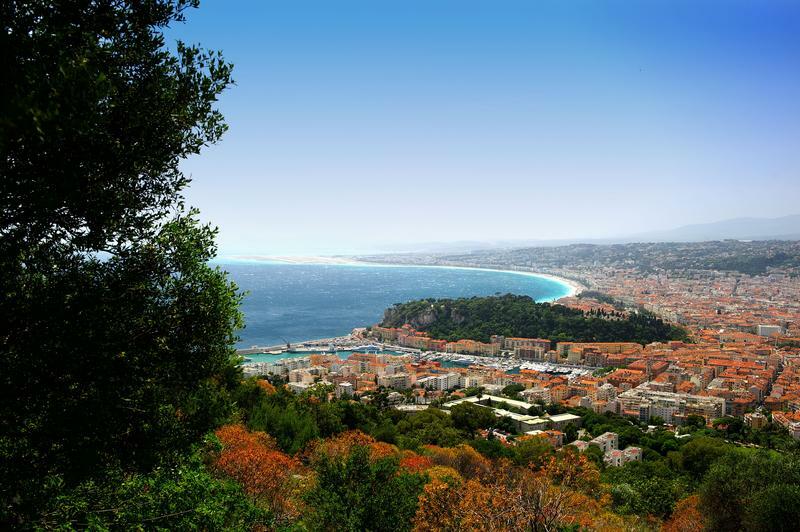 In just the year since the project began, the CITYOPT consortium has been able to set up a comprehensive pilot phase, shortly due to commence in Nice Côte d’Azur. The CITYOPT project logo, designed by Experientia. 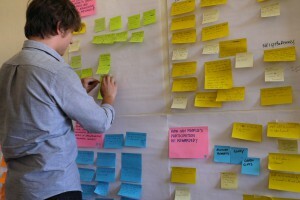 User research activities were a crucial part of creating the pilot program, led by consortium member Experientia. The company’s user experience methodologies have seen local citizens from the area participating in interviews, workshops and design activities. 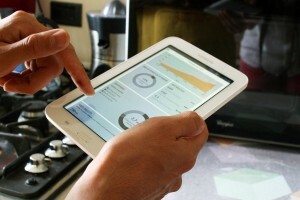 These have defined what people really need to help them control their energy use, and to create a mobile app that the pilot participants will be able to use to do just that. The entire project has applied a user experience (UX) methodology, to make sure that the tools and methods that the project proposes for energy management resonate with the people who will have to use them. It’s not just Nice Côte d’Azur: other pilots are planned for Helsinki, Finland and Vienna, Austria, where similar UX methods are also being applied. Right now, the Nice pilot will look at the residential level, and explore how people’s everyday behaviours can be nudged to better support the energy use of the entire region. The board game to facilitate the discussion on energy topics used during the participatory workshop with dwellers in Carros, France. 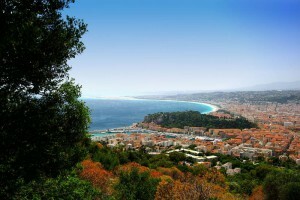 The Nice Côte d’Azur local population will play a crucial role in reducing domestic electricity consumption during peak loads. 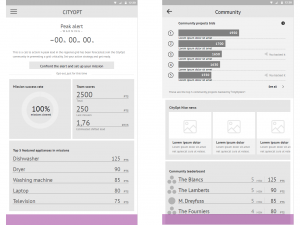 To help people change the way they consume electricity, the pilot will provide selected locals with the CITYOPT mobile app (aka the CITYOPT Operational tool). The app informs people about upcoming network peak loads, and then uses playful persuasion to get them to commit to lowering their energy consumption at a specific time. In autumn 2014, the Experientia design team focused on the visual design of the mobile application. In workshops for design idea creation, designers and local stakeholders came together to brainstorm innovative ideas that could potentially be included in the app. The idea generation workshop held in Turin, Italy. A second participatory workshop, again involving local stakeholders, compared these ideas back to the expectations and needs of local people, which had been uncovered in the original interviews and workshops with people from the region. The feasibility of the different ideas was discussed, and the final features for the CITYOPT app were selected. It’s a long road from ideas to app. First Experientia’s design team, with the support of the local project partners, worked on three wireframes of the app, which defined the information architecture and interaction model for how the app would work. Later on, colors and styles were added, taking it from outline to a fully-fledged design. The wireframes defining the information architecture of the CITYOPT app’s “peak alert” and “Community” screens. Currently Experientia is in the process of developing the front-end, web-based code, while the consortium partners, CSTB and EDF, are implementing the back-end, repositories, hardware interfaces and statistical algorithms. 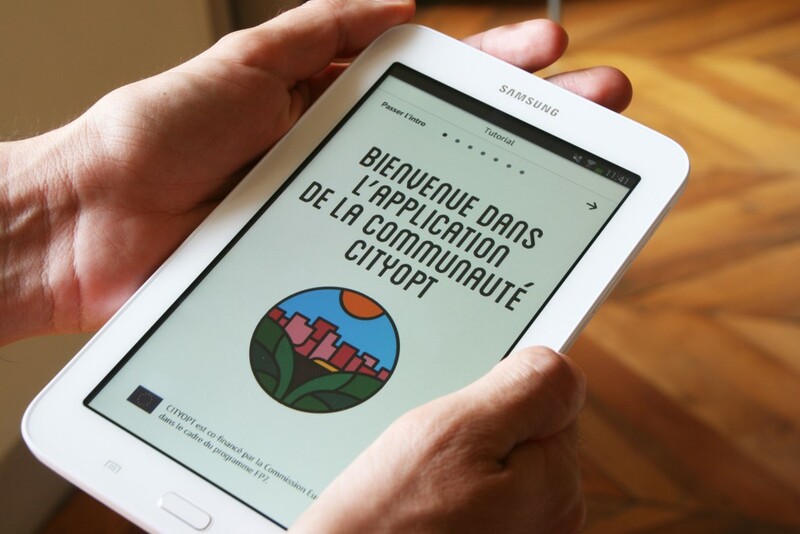 Nice Côte d’Azur Métropole is responsible for localising the application in French and is recruiting local dwellers to participate in the pilot test. 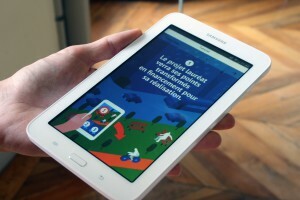 Graphic design of the achievements screen implemented and running on the target tablet. Summer 2015 will see this exciting project enter the pilot phase. 200 households in Nice Côte d’Azur will be provided with the CITYOPT app, as the first wave of a testing and demonstration phase that will last 17 months. During the demonstration, test leader Experientia will explore how people are using the app, whether they take part in the demand-response scenarios, and what conditions and driving factors are most likely to convince people to participate. The test research will be supported by quantitative and qualitative activities like online surveys, contextual interviews and contextual observations. The actual consumption data will also be measured through pre-installed smart-meters, and will be used to evaluate the effectiveness of the CITYOPT system. The CITYOPT app tutorial running on the target tablet. 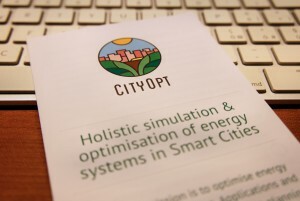 Following the pilot, the CITYOPT project should soon be providing us with real data on effective ways to convince people to reduce their energy use at a level that can help to improve the consumption of an entire region. From there, it’s a matter of scaling up the project to the entire region, and beyond, and providing a body of information that can be used by any region looking for effective ways to reduce energy use. 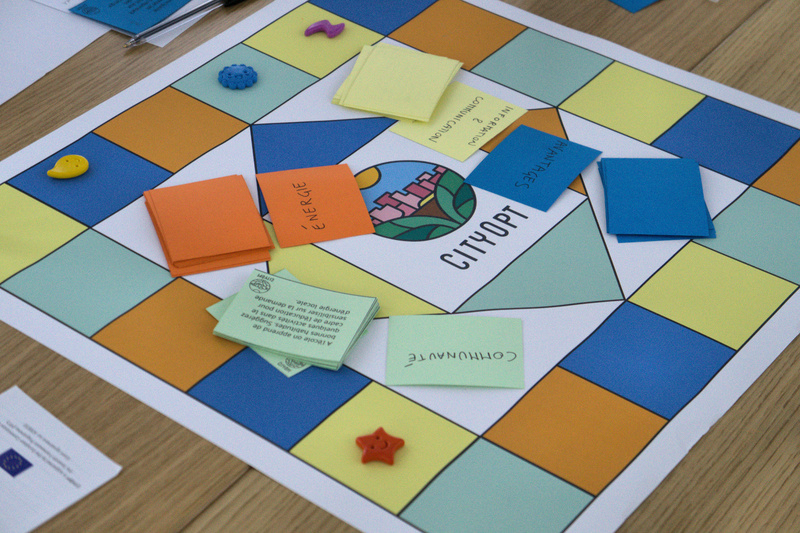 Meanwhile, the other CITYOPT pilot programs will show that Nice is not a solitary example, and that the user experience methodology can offer real impact on people’s behaviours, and on behavioural change for more sustainable lifestyles.